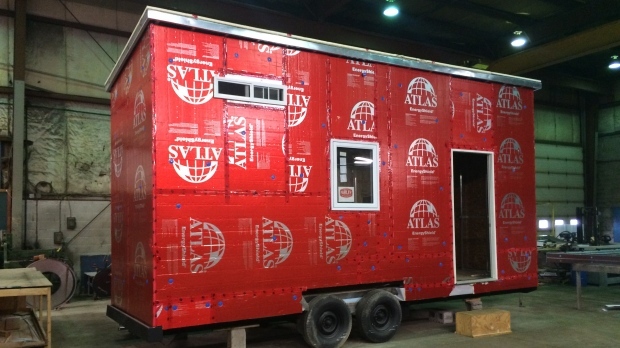 Following allegations that an Ontario-based tiny homes seller scammed dozens of customers in Canada and the U.S. out of hundreds of thousands of dollars, CTV News has learned the company and its owners are now the subject of investigations by the Canada Border Services Agency and the Ontario Provincial Police. 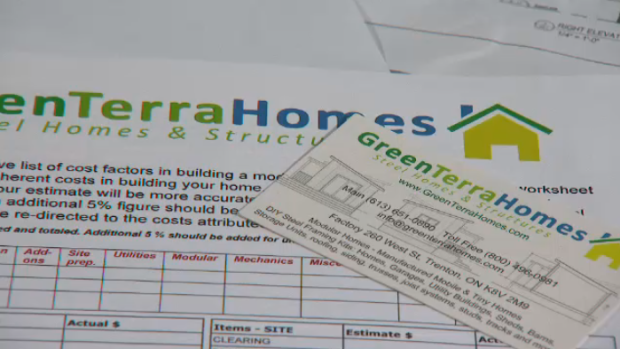 Green Terra Homes has been accused of selling customers, in five Canadian provinces and territories and 10 U.S. states, prefabricated homes with substandard materials or not delivering the homes at all. The modular homes were supposed to be affordable, durable, and environmentally friendly. They would be framed in steel from recycled cars and would be able to stand the test of time due to the metal’s superior strength. Or so Green Terra Homes claimed. 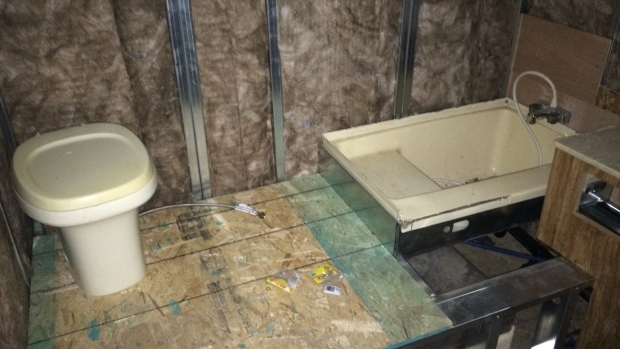 In reality, clients told CTV News they received unlivable homes with repurposed materials. That is, if they received anything at all. In early January 2019, the company filed for bankruptcy, with claims against it totalling close to $5 million. Since the bankruptcy declaration, CTV News and concerned customers have been unable to contact Max Broojerd, who billed himself as Green Terra Homes’ chief operating officer and general manager among various other titles. His partner Holly Khani, the company’s CEO, has not responded to requests for comment. As customers wait for an update on the bankruptcy proceedings, questions have been raised about what the company promised to their customers and what they actually delivered. And in the opinions of one expert in the field, as well as a former Green Terra employee, it wasn’t very much. In October 2015, Matt Standen said Broojerd gave him a tour of Green Terra Homes’ warehouse in Trenton, Ont. Standen, the editor and founder of the website and blog Live Tiny Canada reached out to the company after seeing advertisements on Facebook for their prefabricated homes and tiny homes – broadly defined as homes that are less than 500-square-feet. Standen said he was interested in writing an article about the business for Live Tiny Canada – a website dedicated to connecting Canadians interested in living in tiny homes. Broojerd guided Standen through the warehouse’s showroom, which had several table displays featuring the different types of materials and finishes customers could select for their homes. After that, Standen said he was given an extensive tour of the warehouse where the homes were being built. It’s what he saw there that concerned him. Standen said he also saw old RV parts being used for everything from kitchen sinks to bathtubs inside of the tiny homes. 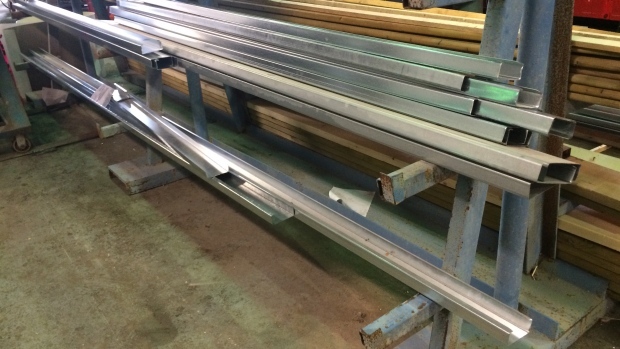 The presence of large rolls of sheet metal in the Green Terra Homes’ warehouse was another “red flag” for Standen. He described the sheets of metal as “soft” even though they were to be formed into the trusses or structural supports for the homes. Standen said the sheets of metal he saw didn’t look like steel taken from recycled vehicles, which was advertised by Green Terra Homes. A former Green Terra Homes employee can also attest to the thickness or gauge of the steel used in the modular homes. David Lacroix worked as the general operations director for the company from November 2016 to October 2017. During his time there, Lacroix said he was involved in the construction of the homes from start to finish. “Max [Broojerd] would come in and change the gauge of the steel to cheapen it and whatnot so when they’re picking it up with the crane, they’d start getting damage on them,” he recalled to CTV News in January. 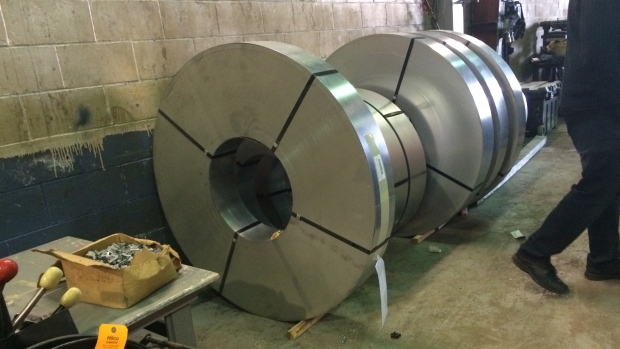 Lacroix’s description is a far cry from the quality of steel Broojerd promoted during a nationally televised interview about his company on CTV News Channel in July 2018. Broojerd also boasted during the interview about how affordable and environmentally friendly his company’s homes were. “The amount of steel that goes into a home, when we say six recycled cars that go into a typical house, approximately 50 to 100 per cent of the steel that we use is recycled content,” he said. In addition to his concerns about the quality of the steel and the other building materials they were using, Lacroix said he was uneasy about their inventory at that time. 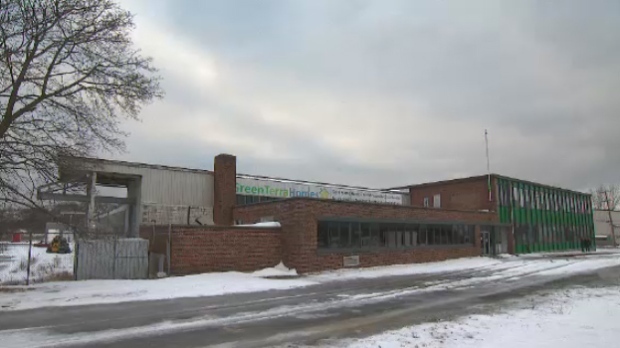 The former employee said Green Terra Homes continued to sell houses to new customers even though it often seemed, to him, like there was very little product in the warehouse. Lacroix said they would do plenty of presentations about the homes on offer for prospective clients, but when it came time to actually deliver the products, it didn’t happen. The former employee said he witnessed a lot of “misguidance” by Green Terra Homes’ staff, which he said ended up costing customers a lot of money. Despite the apparent lack of materials, Green Terra Homes continued to sell homes to new clients throughout 2018. Inside sources told CTV News the company had been struggling financially since September 2017, more than a year before it filed for bankruptcy in January 2019. And Green Terra Homes came to the attention of the Better Business Bureau, a non-profit consumer advocacy group, as early as 2017. In a notice posted on Facebook on Jan. 29, 2019, the organization issued a warning about Green Terra Homes, saying it’s received more than 2,400 inquiries about the company and dozens of complaints by customers alleging poor customer service, delays, lack of communication, and non-delivery of goods. The Better Business Bureau said it has received reports of more than $440,000 in losses from customers of Green Terra Homes. The owners of the modular home company were also unable to renew their registration with Tarion, Ontario’s home warranty program, in 2017. They were registered with the organization from 2014 to 2017, but they never enrolled any homes during that period, a spokesperson for Tarion said in an email to CTV News. Green Terra Homes was refused a registration renewal by Tarion in 2017 because it failed to “meet the educational requirements for licensing,” which includes completing online courses on subjects such as financial planning, building codes, and construction technology. Anyone who plans to sell or build a new home in Ontario is required to register with Tarion and enroll the home as part of the requirements of the Ontario New Home Warranties Plan Act. In accordance with Part 9 of the Ontario Building Code, builders of modular homes still have to obtain warranty coverage if the assembled sections are placed on a permanent foundation. Standen, from Live Tiny Canada, said Green Terra Homes was able to get by without a Tarion registration because it claimed to be certified under the CSA Group, a product standardization company that certifies RVs and modular homes. However, a former employee who wished to remain anonymous confirmed to CTV News that Green Terra Homes’ CSA certification was always fake. The Better Business Bureau said customers with claims against Green Terra Homes can contact the appointed trustee in the bankruptcy case, but warned their attempts may be in vain. “With [Green Terra Home’s] total assets of $476,702.00, and liabilities amounting to $4,929,874.87, it is unlikely that victims will receive any money back,” the organization said in its Jan. 29 Facebook post.